We've been exhibiting at Banbury Steam Rally since the earliest years of the club. In fact, some of our founder members were exhibiting mowers at the event before the club was formed. Banbury was also the first event where we were able to display the mowers inside a large marquee. This allows us to exhibit related items such as advertising and ephemera. Each year we try and theme the display. 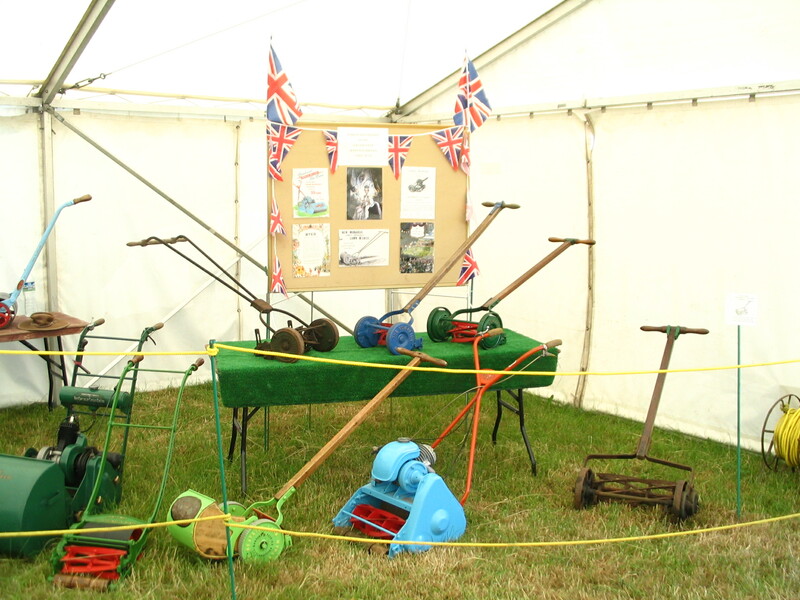 This has included, for example, displays based around particular manufacturers, mowers with a "royal" connection to celebrate the Queen's Diamond Jubilee, and a selection of catalogue mowers.